BAUCHI State Police Command has arrested five members of a local Vigilante group popularly known as ‘Yan Kwamiti’ in Wuntin-Dada, a suburb of Bauchi metropolis for allegedly torturing to death a 28-year-old butcher, late Abdulrazak Hassan for alleged theft of a goat. It was gathered that the incident which occurred last Friday night, provoked the youths in the area who threatened to go on a reprisal attack on the vigilante group but were calmed down by the elders in the area who swiftly intervened in the matter and pleased with them to allow the Police to wade into the matter. While speaking to newsmen on the matter, the father of the deceased, Sarkin Pawa Wada, narrated how the incident happened saying that somebody was caught with a goat and was taken to the vigilance office in the area. “When they took him to their office, they talked about it. I don’t know what they talked about because I was not there, but I learnt that the suspected thief was later released, they then called the owner of the goat and handed over the goat to him,” he said. The father of the deceased further alleged that after killing his son, they later brought his corpse to his house dumped it “but thank God they were seen” pointing out that when he came back home, he quickly rushed to the Village Head of Wuntin Dada and informed him about the incident adding that he, in turn, drew the attention of the Divisional Police Officer, GRA to the unfortunate incident. Sarkin Pawa Wada added that the DPO swiftly acted by sending his men to go and see what was happening and on getting there, they took his son to the hospital where he was confirmed dead by a Doctor saying that the corpse has been released to them by the Police for burial according to Islamic rites as agreed by them. While accusing the leader of the Committee for ordering the torturing of his son to death, Sarkin Pawa Wada said that the Police has assured them that decisive action would be taken against the suspects. According to her, the vigilante group people that brought her son’s corpse came on a motorcycle adding that she did not see their faces except their backs as they went away. The Police Public Relations Officer (PPRO), Bauchi State Command, Kamal Abubakar, confirmed the incident to newsmen describing the incident as very unfortunate. 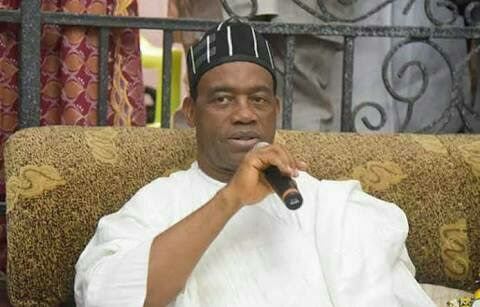 Datti Abubakar, who is a Deputy Superintendent of Police, said that the Police has so far arrested the leader of the Community Committee, Abdulmumini Abbas and four other members in connection with the incident and are currently undergoing investigations after which they will be charged to court for prosecution if found culpable. The post Vigilante members torture 28-year-old man to death in Bauchi appeared first on Tribune Online.